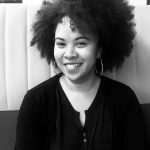 Taylor Jones is a 22 year old artist, activist and journalist who uses film and creative writing to tell stories across space and time. Hailing from Bear Delaware, Taylor has made homes in North Carolina, Los Angeles, New York and Medellín Colombia. Her work lands at the intersection of identity, culture and collective memory and seeks to explore the complexities of life in which our humanity is composed of. 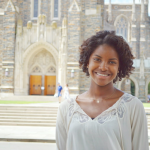 Taylor is a senior at Duke University studying Political Science and Policy, Journalism and Media Studies. Chelsea Scott was born and raised in New Jersey, United States. In May of 2018, Scott graduated from Duke University where she studied Public Policy, Markets and Management Studies, and Education. She discovered her passion for journalism and media through her internship at the New York-based public relations firm, Porter Novelli, where she improved brand visibility through social media campaigns and events. 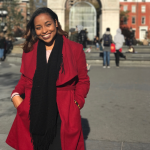 During her undergraduate career, Scott also interned for two summers at Goldman Sachs and for one semester at the Listen First Project. Listen First is a North Carolina-based project focused on using media as a tool to create political discourse. Chelsea recently founded Read Between the Wine, a book club for black women in their 20s. She will launch her career in the consulting industry at Deloitte in New York City. 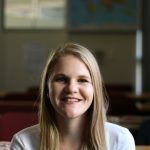 Nicole Ludolph is a second year journalism student at Cape Peninsula University of Technology. Her main interests are political reporting, photography and documentary making. She has written a range of articles on everything from medical tourism to coding for bimonthly magazine Science Stars. Nicole is addicted to long-form journalism and non-traditional fantasy novels. I am a 24-year-old creative writer, and second year journalism student at Cape Peninsula University of Technology. Currently, I am in Cape Town to pursue my career in journalism but originally, I am from a village in the Eastern Cape by the name of Mount Fletcher. My family has played a major role in the career path that I have chosen. Most importantly, I am an individual that loves to dig deeper than what I see on the surface. Which is why I chose journalism as a career from the age of 15. Before my studies at CPUT, I did some with the ILiso Labantu Photography. Where our work was shown to the community of Masiphumelele in Simonstown. Thereafter, I went to study journalism. In as much as I am studying journalism, I love creative writing too. Most of the stuff that I write about are about journalism and the community that I live in. There is so much that needs to be unearthed. I am that person to take a shovel and bring it to the nation’s attention what is going in the neighbourhoods outside Cape Town. That’s where my passion lies. 19-year-old Keitumetse Komana is a self-proclaimed creative, born in Mamelodi, Pretoria. 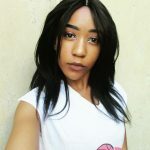 Her passion for photography, writing and storytelling led her to study Journalism at the Tshwane University of Technology. 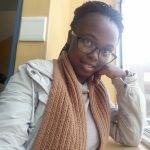 To her, Journalism doesn’t only play a vital role in connecting people from different walks of life but it also contributes to building societies that are worth living in. The cherry on top: It allows her to be her inquisitive self. The lover of style, good reads and Sam Smith is definitely one to look out for. My name is Nicolette van Schalkwyk and I grew up in Bellville, in the northern suburbs of Cape Town. As my father is a housemaster, I have, for the biggest part of my childhood, shared my home and family with 32 other children. After completing my school career at Bellville High, I pursued my greatest love – the theatre. For the last three years, theatre has been an integral part of my being. Not only has it shaped the way I walk and talk, but also the way in which I think about the world and its people. Finally, it paved the way for my future career as a journalist. I am a firm believer in doing what scares you the most and I think that is part and parcel of why I am where I am today – in the Journalism Honours class at the University of Stellenbosch. My inquisitive nature, my willingness to learn more about the world around me and my acceptance of the fact that I am not a nine-to-five type of person, has guided me to this exhilarating profession. Over the past five months, I think I have found a niche in feature writing with specific focus on topics related to the arts and theatre. Other than that, I love telling the stories of people who have not been granted the opportunity to do so. More than that, I love the idea of providing a platform for these people – the marginalised and in many instances, the unsung heroes of this country – to speak for themselves. I love stories, I love to tell them and I love to know them first. My wish for the future is that I will always be granted the opportunity to do just that.